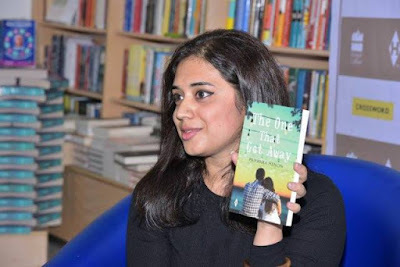 Today on 'On Writing', we have the gorgeous Shilpa Suraj who is a bestselling Harlequin author. A published author with Harlequin India, Mills & Boon Indian author collection, Shilpa Suraj’s first love has always been romantic fiction. Both her books The Girl He Left Behind and Rescued by Love have spent a consistent amount of time on the Amazon.in charts. An avid reader with an overactive imagination, Shilpa has weaved stories in her head since she was a child. 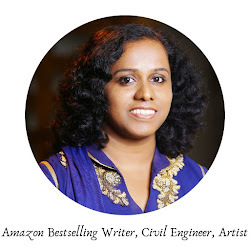 A passion for English and creative writing, in particular, saw her participating in writing competitions at school and dabbling in copywriting for an ad agency as a teenager. Seven years in the corporate space and a spell at entrepreneurship all hold her in good stead for her multiple current roles of author, wife and part-time employee at an architecture and interior design firm. Welcome to 'On Writing' Shilpa. 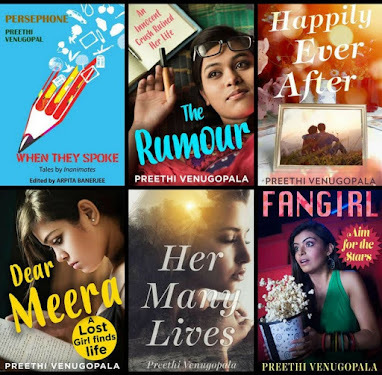 Do people treat you differently when they know that you are an author, that too, a bestselling romance author? I don’t think people treat me differently as such when they know I’m an author but yes, there is definitely a lot of interest when you tell someone you’ve just met that you’re an author. Everyone likes to know more about you and the process of writing a book and having it published. I suppose it’s a world that they don’t often get a peek into. 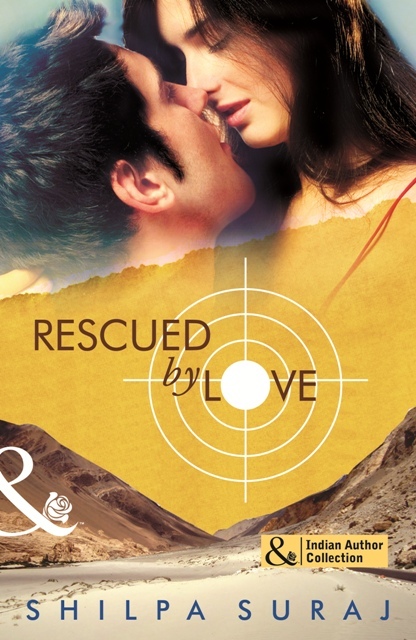 Your latest novel ‘Rescued by Love’ has an army man as the hero. Do you have one such person in your life? I have several lovely men in my life, both from the civilian and armed forces world who have touched my life in special ways. My father who tops that list, my brother, my husband, my father-in-law, the list is as varied as it is long. I’m blessed to have had such wonderful men who’ve always loved and supported me in every way possible. Both your novels have been published by Harlequin. How was the experience working with them? I had a great experience working with Harlequin. They were very professional, encouraging and wonderfully supportive and I couldn’t have asked for a better debut in my writing career. Do your stories emerge from random experiences in your own life or do they come to you and haunt you till you put them on paper? My stories emerge from my imagination pretty much all the time. Life and all the myriad experiences it offers are like the spice to the mix. Once I have a story in my head, it does haunt and hound me until I put it down and that’s usually when you’ll find me tapping away on my laptop late into the night. Do you get affected by writer’s block? If yes, how do you deal with it? Yes, of course. There are many times when I hit a slump while writing. What usually works for me is to take a break from writing and to go do something fun. It helps clear my mind and gives me perspective on whatever little twist or tangle in the story is refusing to unravel for me. What is your favorite time for writing? Do you have any particular habits or needs when you sit down to write? Coffee, chocolates, wine? All three sound great to me. But to be honest, when I’m writing and the mood is right nothing truly penetrates my focus. I usually have music playing in the background, but I tune even that out when I’m completely immersed in the story. I write mostly at night. Sometimes well into the night. It’s the most peaceful time in my otherwise chaotic life. Share a quote or snippet from ‘Rescued by Love’? “Miss Ahuja? Naina?” The almost soundless whisper had Naina’s eyes snapping open in the dark. A hard hand came up to cover her mouth even as a terrified squeak left her lips. A pair of dark, intense eyes in a face streaked with camouflage paint floated into her vision. Keeping her eyes on his strong, reassuring ones, Naina nodded quickly. The stranger waited to make sure she wouldn’t scream, and slowly lifted his hand from her mouth. 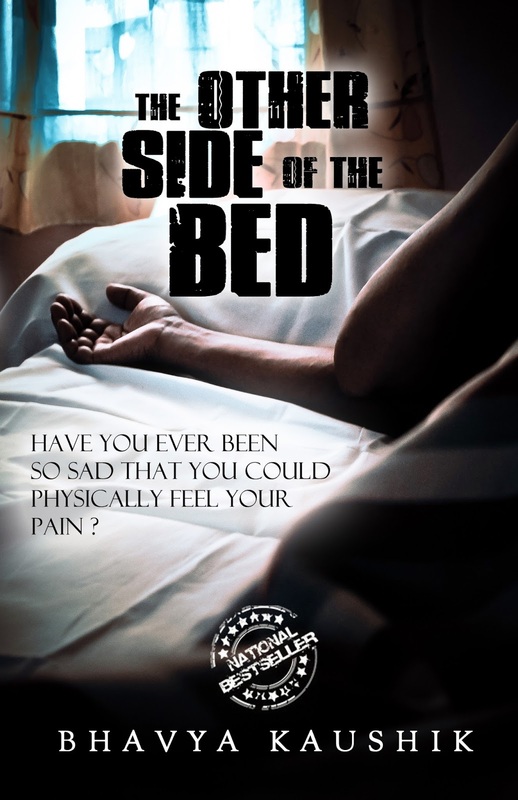 Slipping a knife out from seemingly nowhere, he cut the rope binding both her hands and feet within seconds and levered her up from her prone position. Helping her to her feet, he watched intently to see if she was steady on her feet. Reassured that she wasn’t going to faint at his feet, Arjun moved quickly to the door and looked out. The guards were still unconscious from the light taps to the back of their heads administered by his teammates, and so far there was no sign of any other movement in the camp. Coming back into the room, he put his lips close to her ear to whisper, “Can you walk?” Nodding mutely, Naina craned her neck to get a glimpse of his face from this angle. The stranger was so tall that he towered over her by almost a foot. Dressed all in black, with a mini-arsenal strapped on to him, he looked like he’d arrived straight from hell. Apparently, the devil was her hero tonight. Both of your books are love stories. Do you plan to write in any other genre? Most of the stories running through my head are love stories. Even when my stories have other plots to them like the thriller I’m currently writing, they always have a strong love story at its core. To whom would you dedicate your success as a writer? My parents for sure. They never once doubted that I would be a success and I might never have had the courage to send my work out into the world without the faith they had in me. What are the three tips you have for readers of this interview who are aspiring writers? 1) Tell the story you are dying to tell. If you don’t love your story no one else will. 2) Don’t get discouraged and stop writing. It’s a tough road sometimes but nothing worth having comes easy. So, keep at it. 3) There’s no harm in asking for help. If you’re stuck, reach out to people who can and are willing to instruct and guide you. And when they do help, don’t react badly to feedback that you don’t agree with or don’t like. Maintaining perspective is everything! Thank You, Shilpa, for that wonderful chat. I wish you all success in all your future endeavors. Can he win her back? 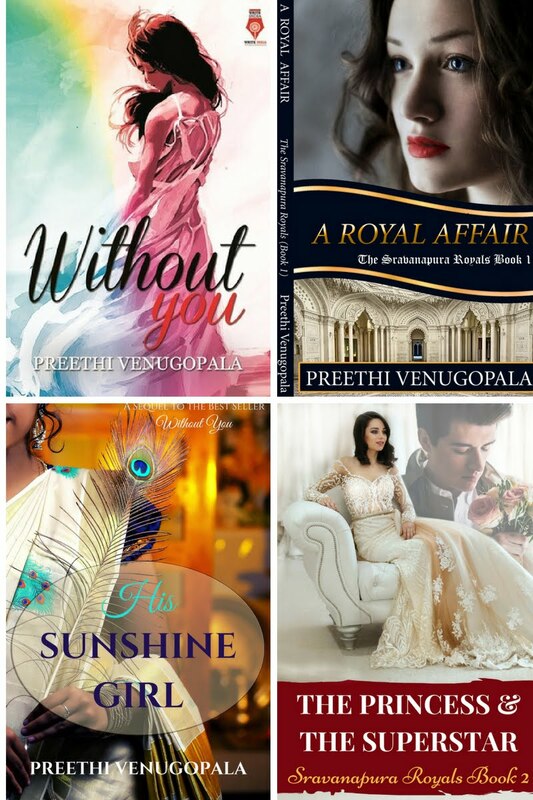 Romantic fiction editor Sia Sharma knows that life is not about happily ever after. The only guy she had loved had left her six years back. Suddenly Ryan Mathur is back in town as a hot shot entrepreneur. His advertising firm has been hired to create the marketing campaign for Sia's publishing company, but Ryan has only one thing on his mind: to win back the only woman he ever loved. But feisty Sia has other plans and is determined to make him pay. The harder Ryan tries to win her over, the further Sia strays. 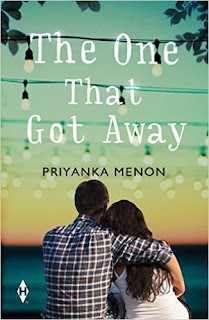 Ryan seems to be everywhere she goes and her bestselling romance author, the sultry Nisha Malik, joins the fray to pursue Ryan. It's not long before Sia realizes she still has feeling for him. Will Sia let Ryan back into her life again? And will Ryan ever win back the girl he left behind? He rescued her, only to become her hostage! When Naina Ahuja is kidnapped as hostage days before her father, a Supreme Court Chief Justice must sentence a terrorist, the stakes are very high. Lt. Colonel Arjun Rathore and his team are the only ones who can be trusted with the mission of saving her. During their arduous trek back through the hostile terrain of Ladakh, Arjun and Naina spend days in danger of losing their lives and their hearts. Back in safety, the real world and its very real problems threaten - as do their own perceptions of the differences between them. They must separate but will life rescue their love? That is all for now, folks. Do pick up her books. 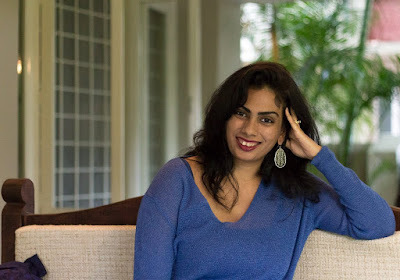 Priyanka is a lecturer and spoken word poet, who literally moonlights as a romance writer – she typically writes into the wee hours of the morning. Her affair with romance novels began when she was barely out of the schoolroom. For that, she doesn’t know if she should thank or blame her aunt, who gifted her first romance novels. For leisure, she loves watching reruns of The Wonder Years, reading comic books, and dissing saas-bahu soap operas with her grandmother. She believes she gets her writing powers from red-velvet pastries and white-chocolate mochas at Starbucks. Welcome to 'On Writing' Priyanka Menon. I don’t really remember when I started writing. But I do remember my school notebooks and diaries having copious pieces of poetry and stories written into the margins as well as the back pages. This happens even today. 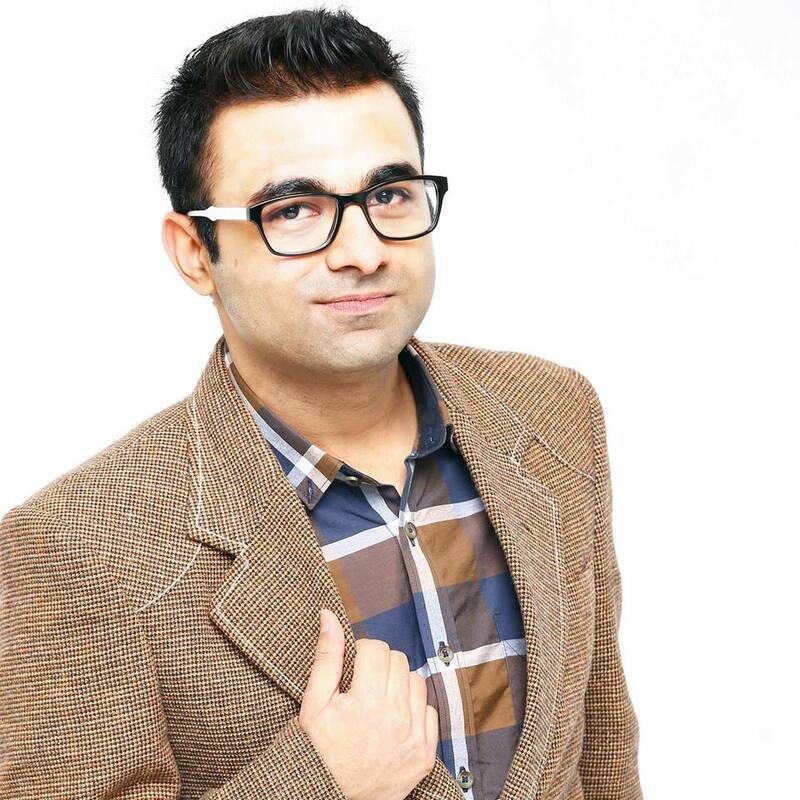 I’m a lecturer of advertising and English literature in a couple of colleges in the city. While my students are busy working on an in-class assignment, I will be sitting on one of the benches (I hate sitting behind those teachers’ desks) and writing in my pocket notebook. During my graduate course, my closest friend chanced upon a book of mine. He read all those little nothings that I’d scribbled here and there. He said they’re pretty good, but that I can do a whole lot better. So I guess that was the moment when I decided there was something to my dream of becoming a writer after all. Yes, names of characters (especially the leads) are very important. I believe this works in three ways. c. It is also a window into the mind of the writer, for the most part. 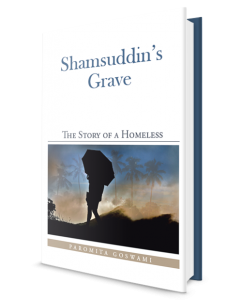 The period after the manuscript has left you, till your book hits the stands – that part is pure agony. What is ‘‘The One that Got Away’ all about? How long did it take to complete writing it? #TheOne is a pure romance. It’s a story that is very contemporary, but the characters are still a little fantasy-ish, but not in an unattainable way. It took me about 4 months to write the first draft. After which, it took me another 2 months to reach the final manuscript. My favourite character is undoubtedly Jairam Nair. He’s not the typical romantic hero, you know. He won’t fly you in his private jet or take you to the opera. He’d take you to the beach, sit on the rocks, and kiss you just as the waves caress your feet. He has his flaws too, which he acknowledges without any fuss. ‘Mithi, come down,’ he shouted. ‘Shh…no. Jai, go away,’ she replied. ‘If you’re not coming down, then I’ll come up,’ he retorted and started for the main door. Shyamita didn’t answer. She could hear her own heartbeat in the silence of the night. ‘Mithi, I’m going to ring the doorbell. You can field all the questions people will ask,’ he shouted again. 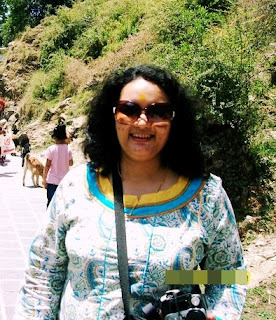 She quickly pulled on a pair of blue jeans to wear with her white kurta, and dug out a yellow phulkari scarf from her suitcase, stuffed her feet into jootis and ran down the stairs as quietly as she could. When she reached the main door, she fumbled a bit with all the bolts and latches. Finally, she opened the door. And there stood Jai. Like he always did. Hands in his pocket, head bent down and kicking a tiny pebble. Is there a certain type of scene that is harder for you to write than others? Did you face such an issue while writing ‘The One that Got Away’? Hahaha…All romance writers are asked this question with a certain expected answer, I guess. No, actually. I don’t think I have difficulty in imagining a scene and its dialogues. Writing is quite instinctual that way, you know. If the writer can identify the psyche of a character, the dialogue and interaction between other characters become that much more believable and relatable. As bad habits go, this one’s the worst one. Whenever I buy a book, I always read the last 2 pages to see if the ending appeals to me. I employ this tactic in my writing too. I envision the last scene even before I write the first scene. If your book was made into a movie, which actors do you think should play the characters of Jai and Shyamita? 1) Write every day. It helps. You’re much more capable of filtering your thoughts and ideas when you actually sit down to write something with a purpose. 2) Know your characters inside out. 3) Believe you’re a writer. Seriously. Belief is your greatest superpower. Thank you, Priyanka! That was so interesting. Wish you the very best for your book and all your future endeavors. Blurb: What are school friends for? Shared lunches, secrets, movies and studies. And if there is a best friend, you want to share everything with him. But do things really work out the way you want them to? Is life really fair? Shyamita and Jai know they have to go different ways once school is over. Shyamita is going to pursue dance and Jai is off to Cardiff for further studies. What happens when they meet after several years? Sparks fly, shocking them both. Before they can figure out what is happening, love strikes. they fear, it is the last time they will meet. There is a fault in their stars. He sneaks out in disguises and seeks her out. Her lush petals became his cherished grave. And united forever they were, in the cradle of death. I, the lonely sun, asked them to stop mourning. Another young bee will soon find another lotus bud. It will sing until the lotus bloomed. 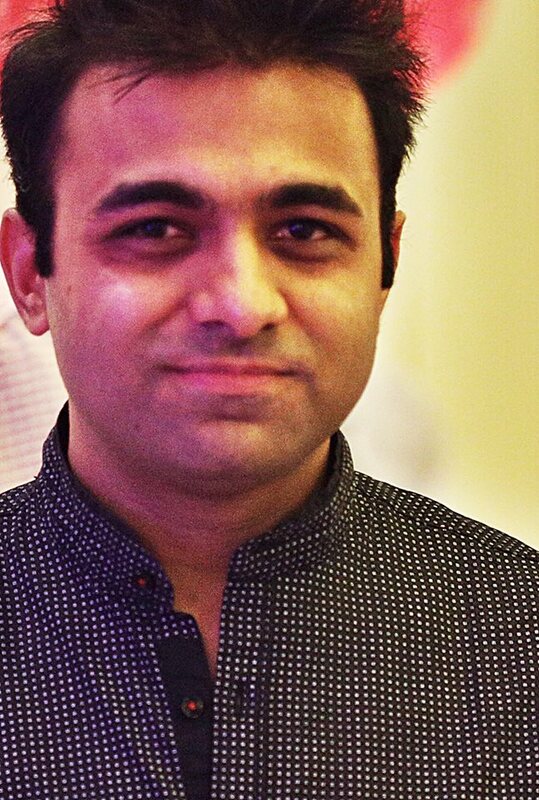 Today on 'On Writing', we have the national best-selling author Bhavya Kaushik who says he writes only for himself. But his readers love what he writes. With a Masters degree in Computer Science, Bhavya believes versatility is the key to unlocking every door of our aspirations. The author of a best-selling novel, he is in pursuit of his unwavering passion for talking about things that will touch our soul and leave an everlasting impression. He is on a quest to seek answers to the questions that have always kept him awake. Ever since I was a kid, I knew that I wanted to be a writer. I was extremely fortunate to be surrounded by people who encouraged me to pursue my dreams. I remember how I started my blog when I was in the seventh standard and the response that I received was overwhelming. At the age of 13, I had a committed reader base. It was after their appreciation, I decided on accepting writing as a career alternative. They are extremely important because they define your characters. I strongly believe that I don’t write stories, I write characters. Though, I never invest a very long time in order to come up with their names. For me, it comes very effortlessly. It’s like as if all my characters are already living and breathing inside me, waiting for me to write their stories. I’m a very introvert and secretive person. For me, going out there and telling people about my work somehow puts me a little off. I don’t write for fame or money, I do it for myself, but sometimes it gets a little tough to make others understand the same. 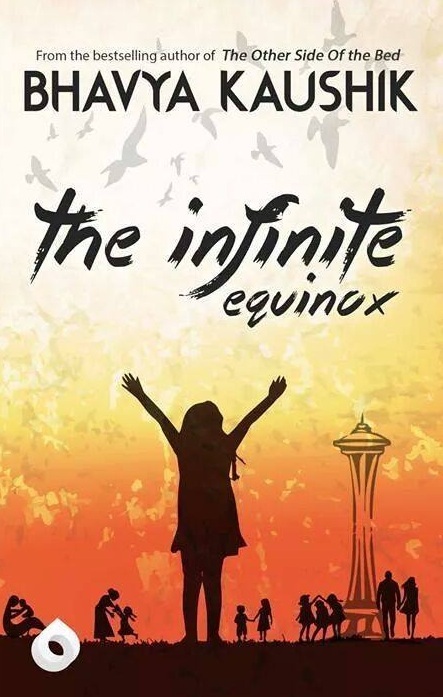 What is ‘Infinite Equinox’ all about? How long did it take to complete writing it? It is so much more than just a book; it is a journey in itself. For me, the equinox is a perfect symbol of life, an amalgamation of good and bad which is symbolized by the night and the day of the equinox. Every one of us experiences an equinox, but for a few it stays forever. This is the story of those unfortunate souls. It took me around 6 months to write the first draft. I think my favorite character would be Tamanna’s mother, who was barely in the book at all, but still the entire book revolved around her. You will get her glimpse only through Tamanna’s memories and will fall in love with her through Tamanna’s obsession of finding her. Sometimes, I believe that is how all the planets, the galaxies, and the universe might have come into existence. Maybe, God was in so much pain that it resulted in the Big Bang when he kept it all inside and didn’t let the pain go. Maybe, the Big Bang was a cry made by God in order to get a relief from his pain, and maybe, just maybe, we are nothing but a figment of his imagination, living in his dreams. Maybe, one day, we all will disappear when he would wake up from his sleep. There comes a time in your life when you are left with too many yesterdays and fewer tomorrows. When you can look back and relive all the golden moments of your life. You would laugh thinking about your graduation day, or the teacher who changed your life, or how you met your soulmate. But then, you look ahead and you would realize that there is no future – no tomorrow to look forward to, and nothing to plan. What would you do? How would you go on and live a future that doesn't exist? Is there a certain type of scene that is harder for you to write than others? 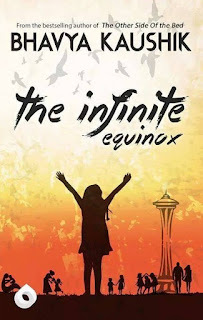 Did you face such an issue while writing ‘Infinite Equinox’? If I would say that it was tough for me to write a particular scene, then I won’t be the writer of my book. I enjoyed writing each and every bit of it, without any effort. I would do it again in a heartbeat! I’m a complete pantser. I let my characters write their stories by letting me their medium. I know people who follow the snowflake method while writing, but I can’t do that. I can never write with a restricted mindset. I rarely read the reviews. I don’t let the reviews, whether good or bad to change my style or alter my work. I write for myself and I’m pretty happy with that. 1) Write for yourself, not for your readers or for getting published. 2) Be vulnerable while writing. Let the book be your journal. 3) Don’t write to follow a commercial trend. If you are good, success will come to you. Thank you Bhavya! That was so interesting. I wish you all success for all your future endeavors. Our entire life is made up of moments-entwined together, so impeccably that it is unimaginable to disambiguate one from the other. But it was never the same for Tamanna. She could easily differentiate every moment of her life to either good or bad, black or white ---there was no gray shade. Abducted from her hometown, she spent countless days begging in the streets for her life. Sometimes, you need to fight for your destiny and Tamanna did as she made it out of the perilous begging rackets of India to the grandeur of Seattle. This moving tale will take you through the events of her life from the terrible turmoil of her past, the saddening impact of heart-wrenching experiences to the blossoming of friendship between strangers who were destined to be chained together and finally the confluence of two souls - Tamanna and Vikram, who stood together even when the stars forced them apart. She is on a quest to find her parents in order to live, to exist. This is her heart's ink imprinted on the pieces of a paperback. This is a story which tries to answer the age-old question, what to do when someone you love dies; in a contemporary and personal way. Nakul, who lost his beloved wife after only a month of their marriage in a serial bombing attack, found it impossible to continue with his life. DENIAL, ANGER, BARGAINING, DEPRESSION and ACCEPTANCE, and how he comes out of them with the help of his family and his "Grief-Mates". He thought that he had forever of togetherness with his wife, but he didn't, none of us does. And before it is too late, we should better go out there to our loved ones and tell them how much we love them. Have any of you said it lately to your wife, your husband, your children, your brother, sister or your parents, that "You mean the world to me. You have changed my life. I cannot live without you. I love you..."
That is all for now, folks. Do pick up his book.